Essential Skills is a highly interactive, visual and self-paced learning and assessment environment designed by experienced nurse educators and clinical pharmacists. 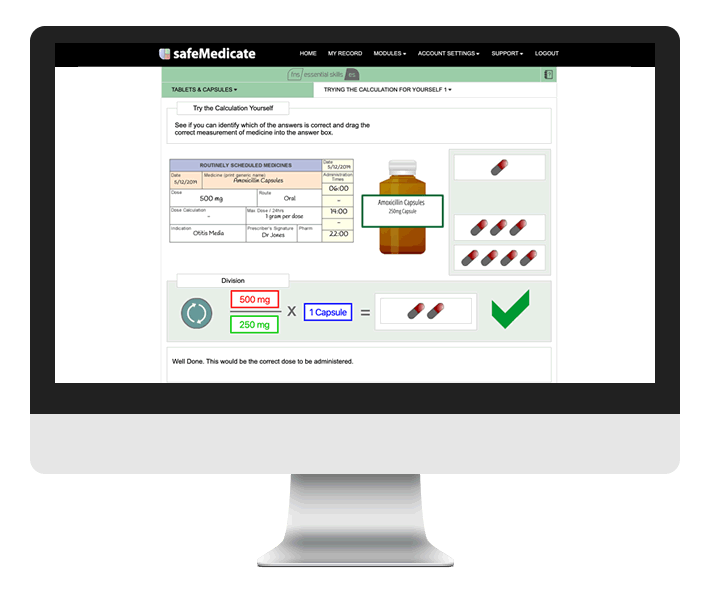 It is designed to develop and assess the competencies required for safe medication dosage calculation at the point of registration and beyond. 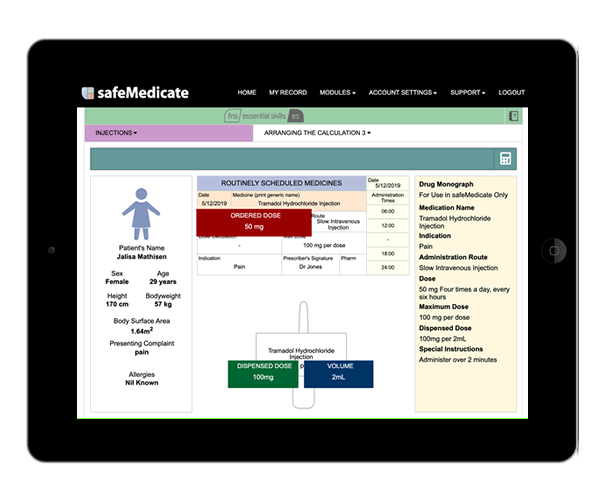 Work through 6 sections that combine to provide the understanding and skills required to safely and accurately perform drug calculations in clinical practice.